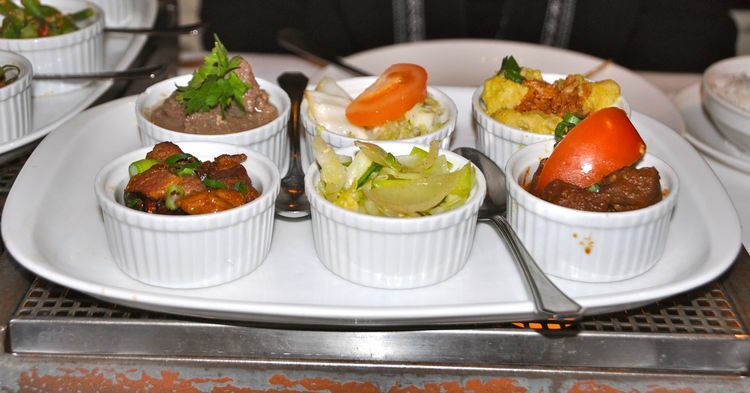 The word chaat in Hindi means to sample or to savour, and is also the name of India's favourite food. Chaat is not a single dish - the term covers an amazing variety of street food that is sold in small plates everywhere in India, from little carts on the street, handed out from hole-in-the wall stalls, or served in expensive restaurants. Most chaat dishes are designed to be eaten in a single bite, setting off a little explosion of flavour in your mouth that you savour as you move on in search of the next plate to sample. Every city in India claims the honour of having the best chaat in the country, but in my opinion the ancient, holy city of Varanasi has some of the best chaat I've ever had as well as a well deserved reputation for creating some of the most innovative and delicious chaat in all of India. 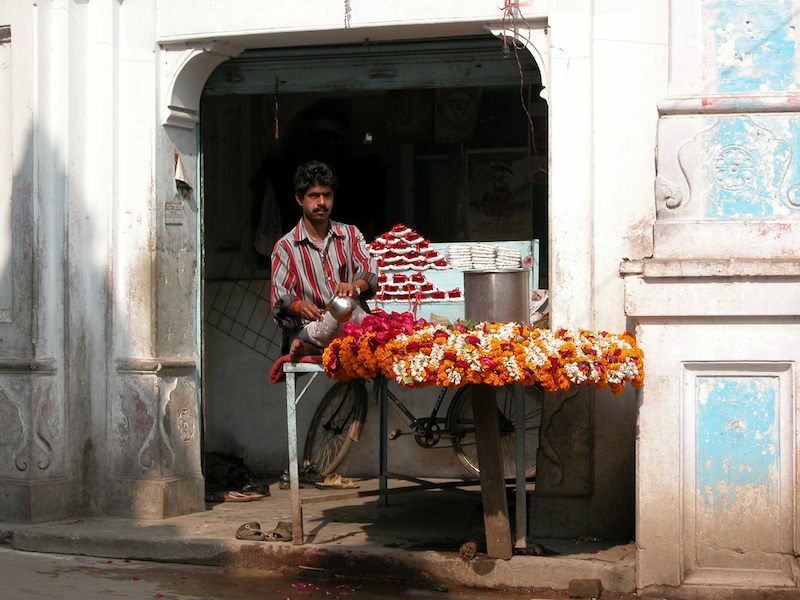 If you happen to visit Varanasi, be sure to start your trip with a sampling of chaat! 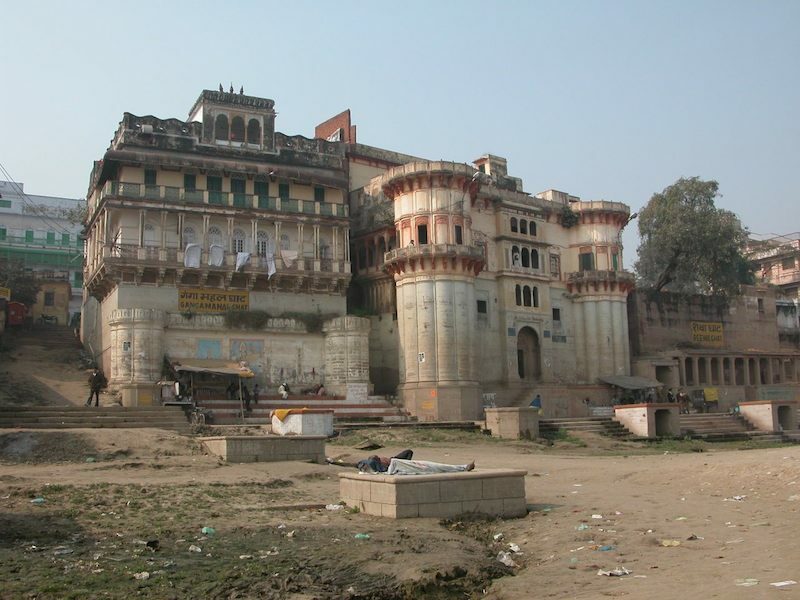 Varanasi is a city of temples, filled with pilgrims from every part of India. 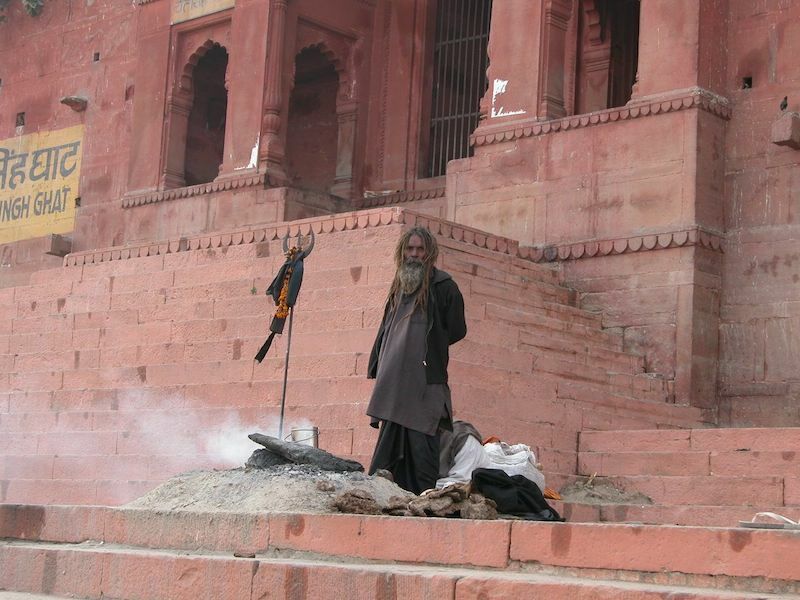 Temples line the banks of the Ganges, located at the top of the terraced ghats, where the faithful come to bathe. And chaat is a way of life in Varanasi, found in the maze of narrow lanes that form the old city, or on the banks of the Ganges river. People go on pilgrimage to Varanasi, to find salvation by bathing in its holy waters, but there is nothing to say that you can't have a nice snack along the way! The most popular varieties of chaat are gol guppas (little puffed up discs stuffed with chutney and spicy tamarind water), samosas, tikki (potato croquettes), papdi (tiny deep fried discs topped with yogurt, chutney and chopped onions), chana masala (spicy chickpeas), pakoras and bhel puri (puffed rice mixed with chutney, chopped onions and tomatoes). 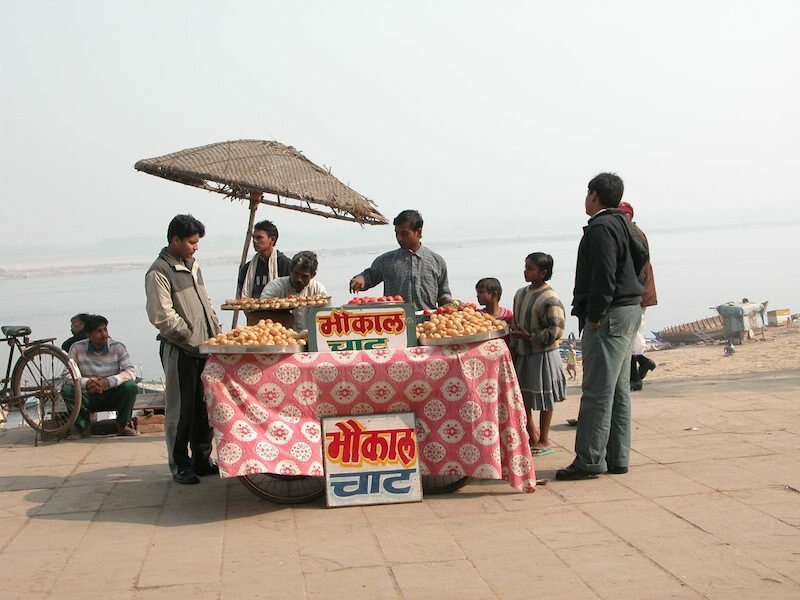 However, the one outstanding form of chaat that Varanasi is justly famous for is Tamatar (literally tomatoes). This divine dish is made by cooking down a whole lot of fresh ripe tomatoes and spices, mixing them with pan fried mashed potatoes and topping the whole thing with various chutneys, sauces, finely chopped red onions and fresh coriander. 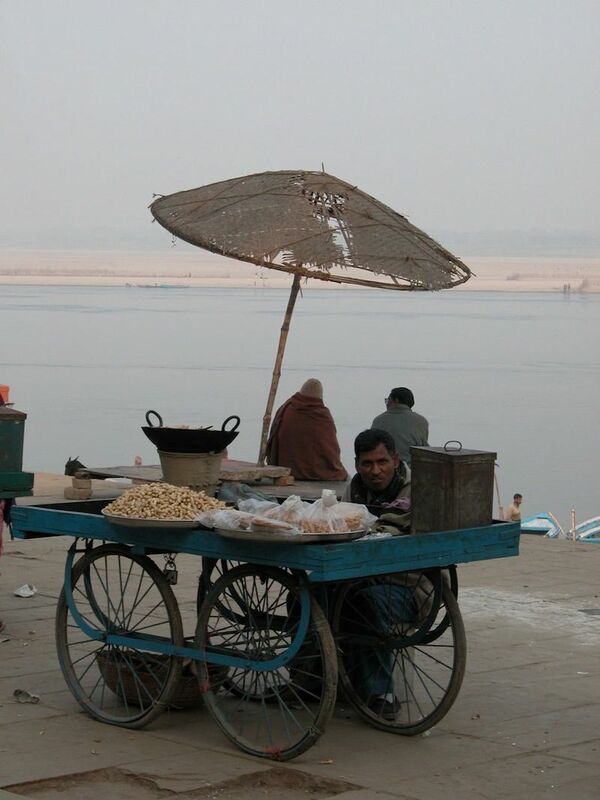 To have just one bite is enough to make you want to move to Varanasi permanently! 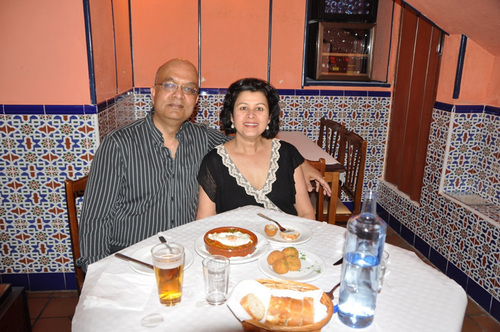 These days chaat can be found in most Indian restaurants all over the world. However, making it at home is easy too. 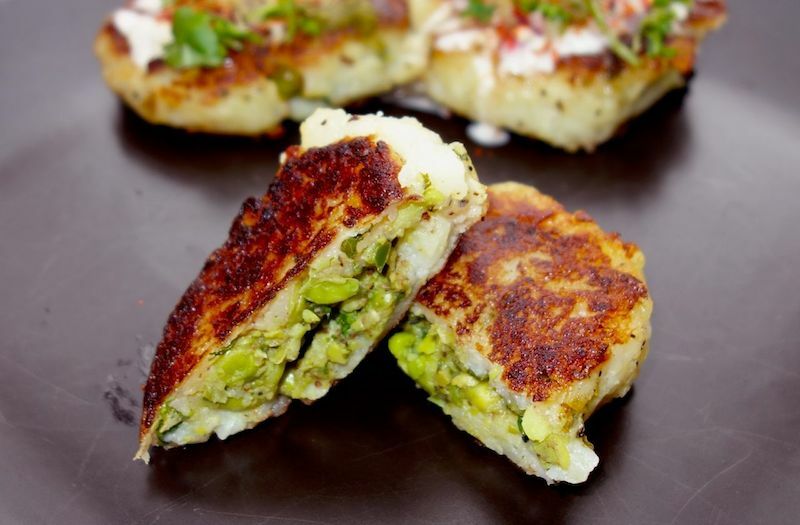 Here's a recipe for Tikkis (stuffed potato croquettes) to start you off! Tikkis are usually served with a dollop of spiced yogurt, some tamarind chutney and chopped red onions. Sprinkle some chopped fresh coriander and cayenne pepper over top for added zest! Boil potatoes until very tender. Cool, peel and mash them. Add flour, salt and pepper, mix well. Reserve potato mixture. Boil peas until tender. Drain and transfer to a deep mixing bowl. Mash coarsely then add salt to taste, fresh coriander, lemon juice, ginger, cumin and cayenne. Mix well. Divide potato mixture into 16 equal portions. Roll each into a smooth ball, then flatten slightly. Place about 1 tbsp of the pea mixture in the center of one flattened potato ball, cover with another and press seams gently to seal. Repeat with remaining potato balls and pea mixture. Warm about 3 tbsp oil in large non stick frying pan over medium high heat. Add potato tikkis in single layer; you may have to do this in two batches. Fry gently until golden and crisp, about 5 min per side. Repeat with remaining tikkis. 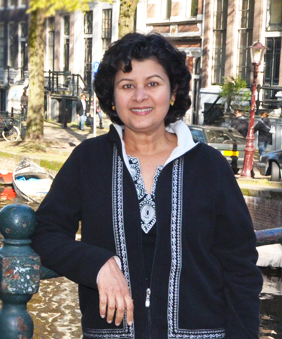 Serve with chutney.